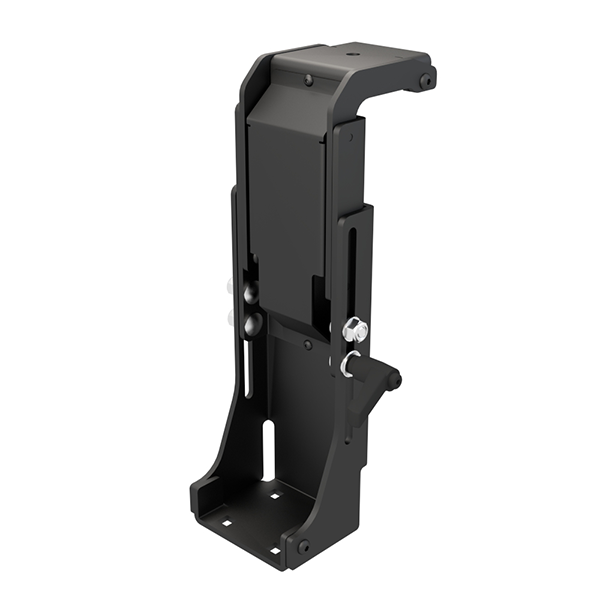 The slim, low-profile, height-adjustable vertical pedestal design allows for greater passenger space and ergonomics. 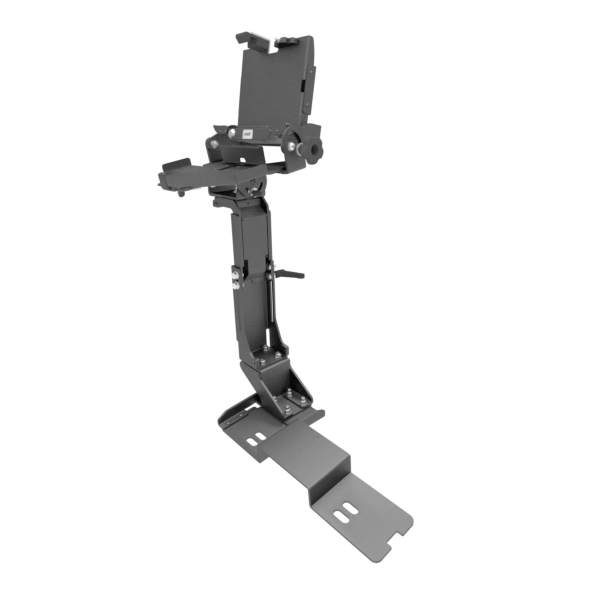 A variety of vehicle bases (brand/model-specific) and offset risers are available – and can be easily installed using passenger seat bolt locations. 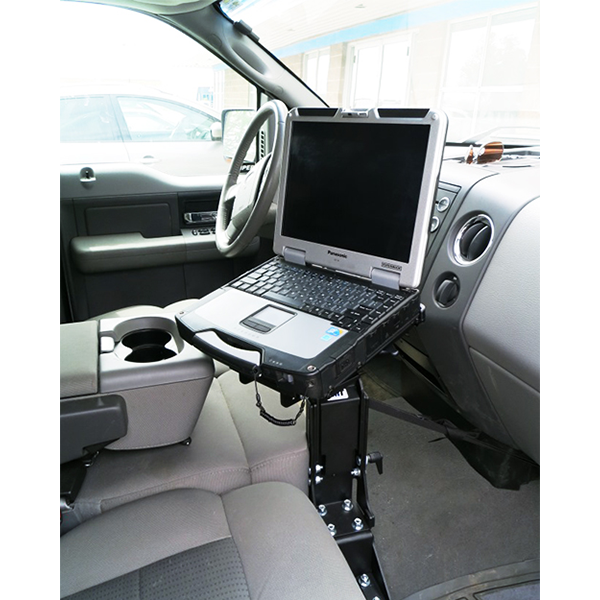 The top pedestal platform accommodates motion and tablet/display mounts and is offset – positioning the computers or devices away from airbag zone. 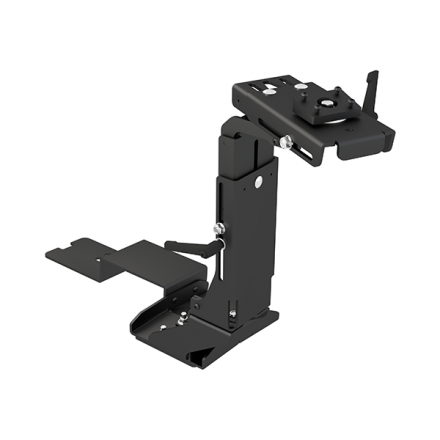 Constructed of lightweight aircraft-grade aluminum, PMT BaseLine pedestal mounting systems are manufactured for structural integrity, stability and vibration reduction.